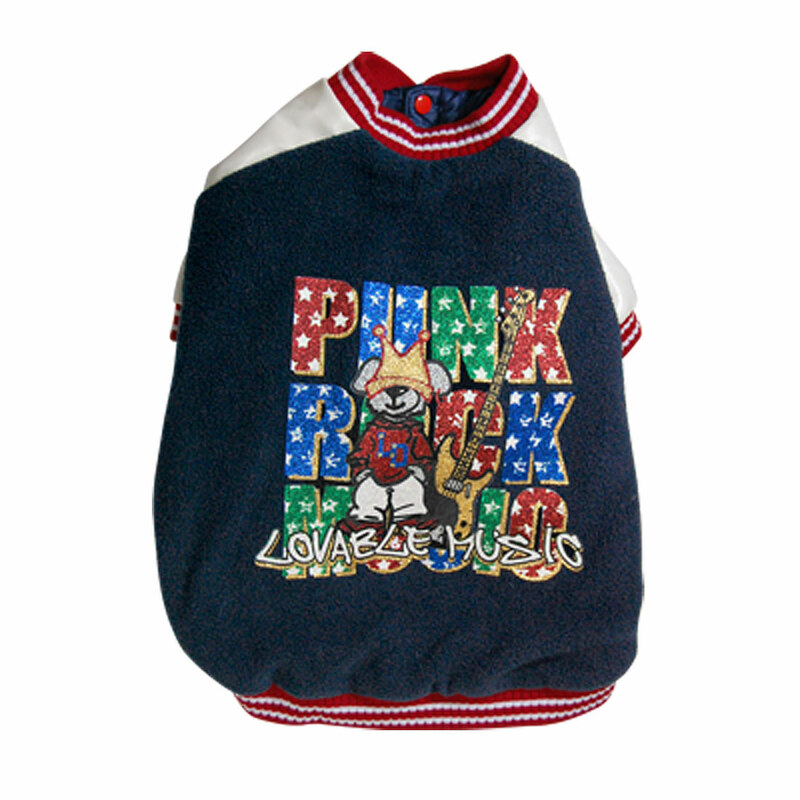 Rock Style Dog Pet Winter Sweater Clothes Coat Jacket Size 3. Keep your dog stylish and warm with this Winter Dog Sweater. Made of fleece with faux leather sleeves, yard trim and fabric lining, comfortable stuffing inside it keeps your pet warm in cold days. The Dog Winter Jacket with clip buttons closure for easy to put on or take off. Cool and fashionable, the coat makes it very cute and unique! Your pet will be the hottest dog on the street when it wear this cool, stylish Size 3 Dog Coat.